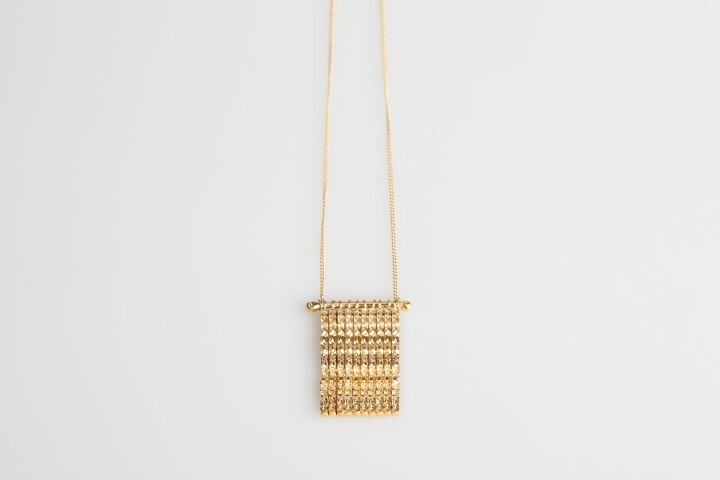 Impressive Pendant consists a vertical square rod with a worn side element repeats itself 10 times, one next the other. This repetition creates a new interesting texture that emphasizes each and every detail in a new light. The lines are hanged with a little ring each, on a centered round rod with spherical edges. So they are free to move separately from each other. Rough as the worn side of the line looks like, when all bound together a new delicate details pattern reveals. Lays very comfortably on the chest and great for any occasion with its unique presence that can not be ignored.